For a .pdf copy of our 2015 Annual Report, click here. For a .pdf copy of our latest Brochure, click here. 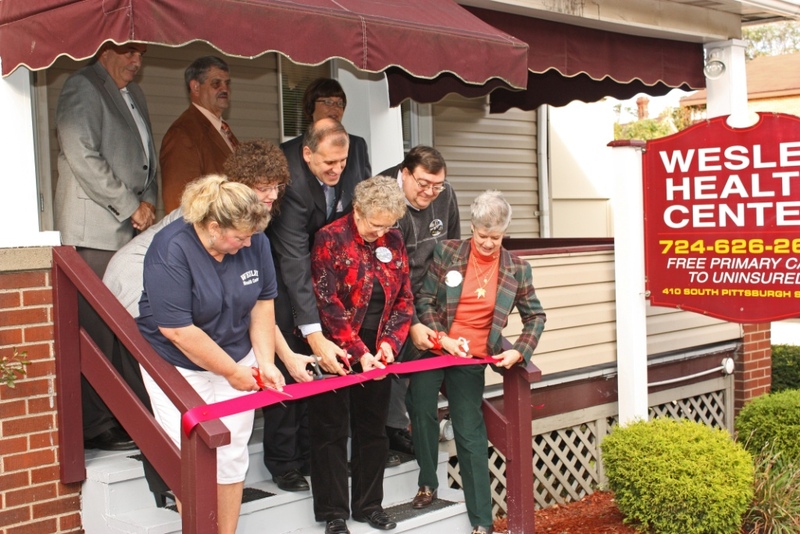 Wesley Church Health Center, Inc. (WHC), a community-based free clinic located in Connellsville, offers integrated primary and behavioral health services for underserved individuals and families in southwestern PA. Since opening in 1993, WHC has provided safety-net services to the uninsured, treating acute and chronic illnesses, reducing emergency room visits, providing patient education to improve health conditions and reduce health risk, coordinating with health professionals and health facilities to increase services, and welcoming patients in an atmosphere of care and concern. WHC is a non-profit, 501(c)(3) organization, governed by a volunteer Board of Directors, and supported entirely by grants, donations and fundraising events.